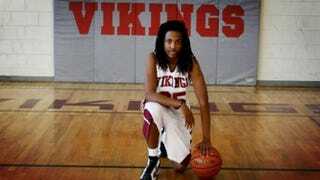 Kendrick Johnson’s death remains a mystery, but his parents are not giving up their legal battle. They filed a wrongful death lawsuit on Monday against Georgia’s Lowndes County school board, the Associated Press reports. The 17-year-old’s parents are claiming that the school board allowed their son to die “at the hands of one or more students” on school property while school was in session. Kendrick’s body was found inside a gym mat Jan. 11, 2013. Local investigators have maintained that his death was some sort of accident and that he fell into the mat and died of asphyxiation. His parents insist that their son was murdered.